From the look of these pictures above, you wouldn't imagine they could be from a train trip in this country. But, they are. My dear friend Jen Smith just moved from New York to Tucson, and made the move by taking a cross-country train trip with her 10 year old son Fisher. She writes about her experience on theinsidesource.com, along with great pictures of her journey and invaluable tips. 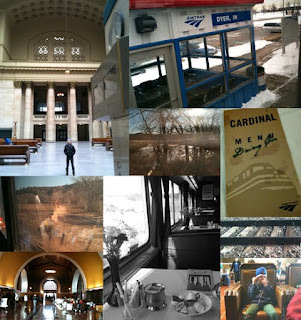 It's completely inspired me to get on board Amtrak.